As you know, we in New England have nothing to complain about. No snow, no ice, no slush, no multiple days in the row of Yak Trax and chipping, or slogging and shoveling. The absence of snow is almost palpable. There are no wet mittens spread out to dry, no pile of soggy boots clogging up the doorway. We haven’t moaned and groaned with our neighbors while shoveling the walks. We haven’t been awakened by the snow plow and worried about the roads. We haven’t run into the grocery store to buy bread and milk and butter and chocolate chips just in case we run out and have a baking emergency. It has been lovely, but strange. I keep feeling as though something’s missing. The misery is missing. The shared comaraderie of chapped hands and sore backs. And we have had to find alternatives for skiing and skating and sledding. We went to the beach. 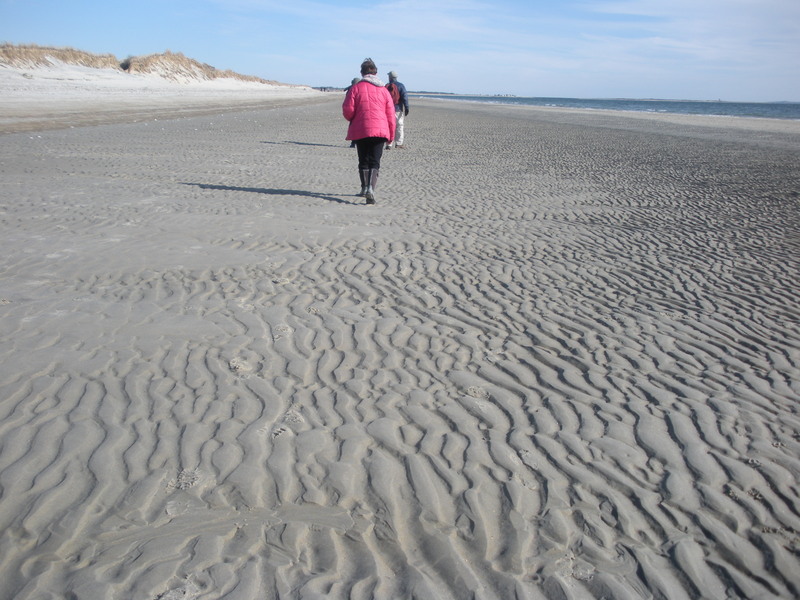 We loved the patterns in the sand. 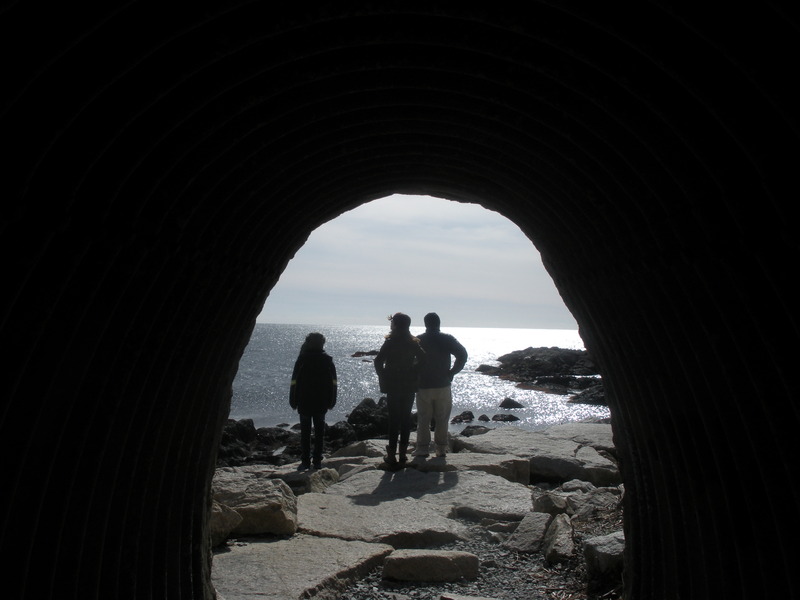 We walked on the Cliff Walk in Newport. 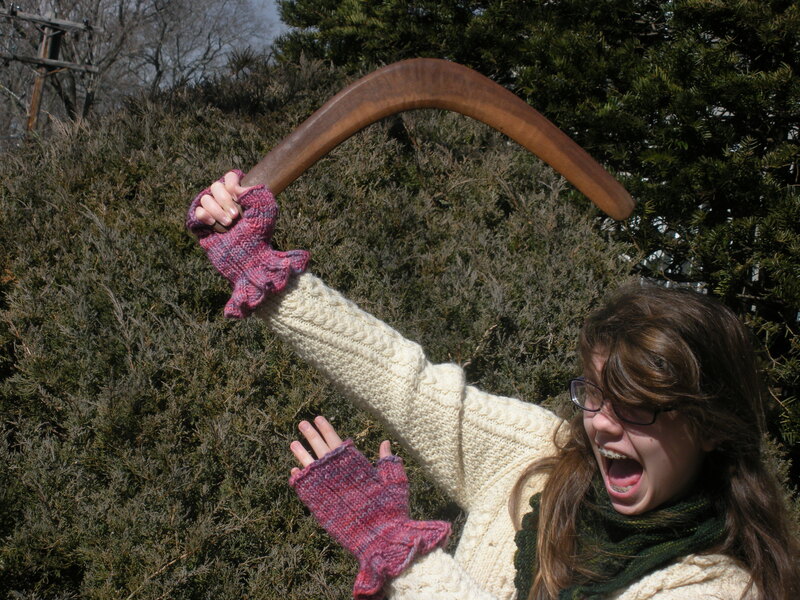 The non knitters in the household decided to master the boomerang. And I decided to add another lawn ornament. 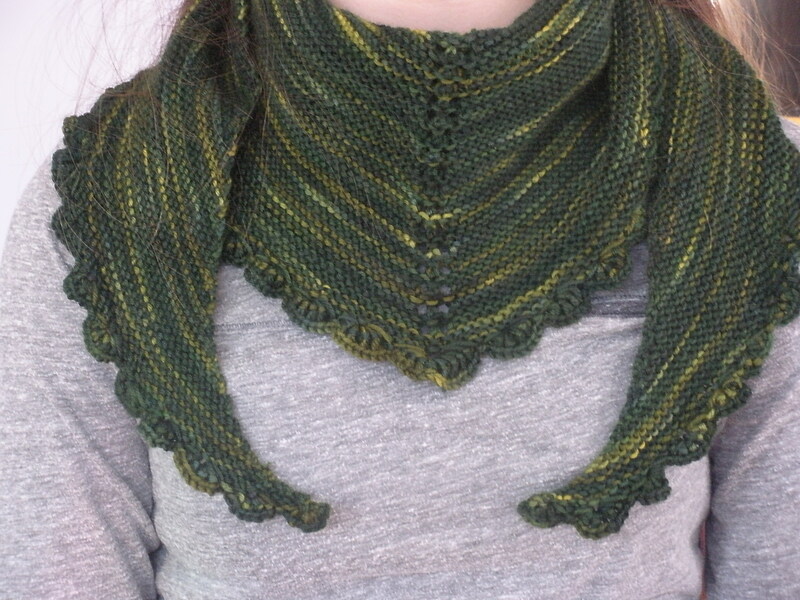 And tried to knit some green back into the landscape. They say we may get some snow tomorrow and the next day. Let it come. We’re due. And I am confident that it won’t last. I am knitting some sunshine. And I gotta say, I love having nothing to complain about. 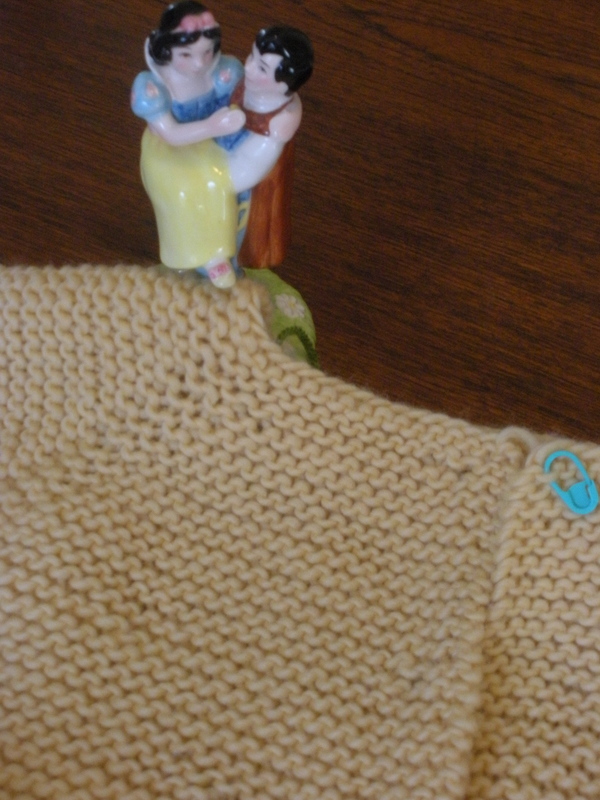 This entry was posted in families, Knitting, Snow, sweaters, yarn and tagged Annabel Cardigan, beachwalking, gnomes, scarves. Bookmark the permalink. 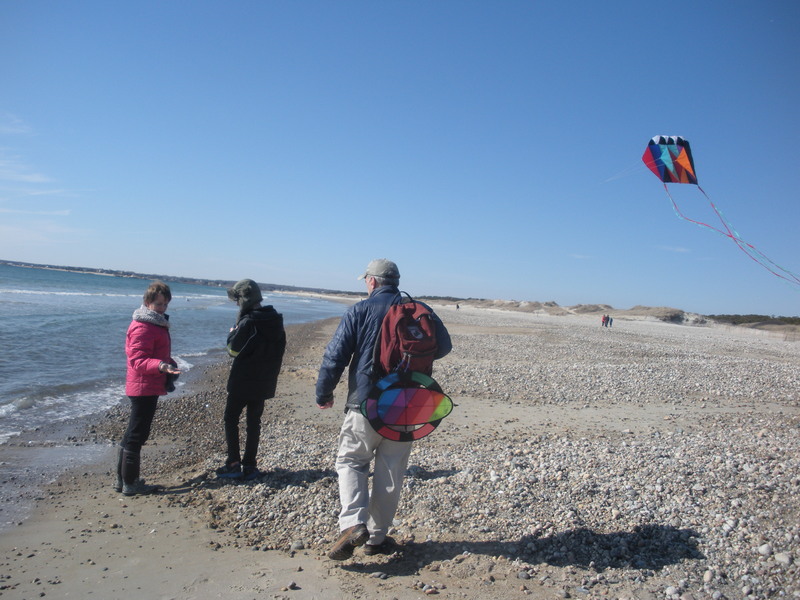 A beach trip is a great idea in this nearly-snowless winter. 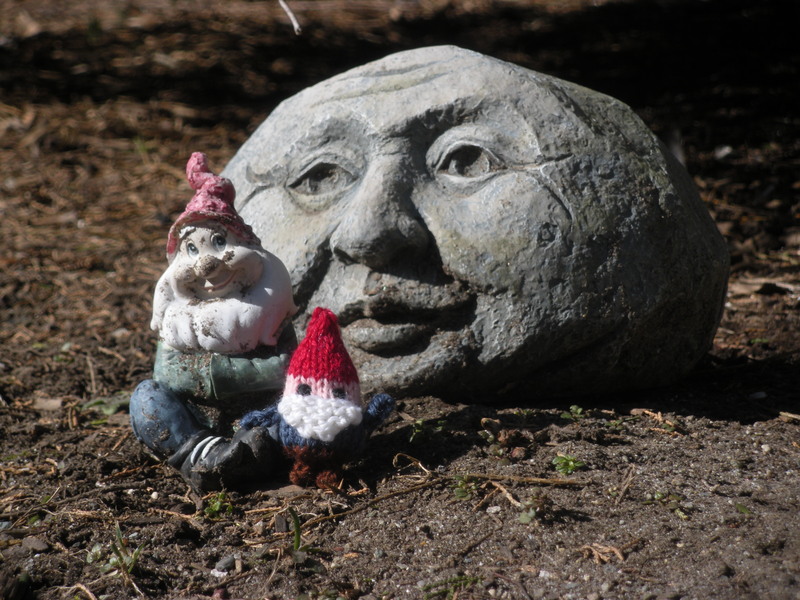 Love the little gnome. Why must you knit so many adorable tiny things?